The family-run company Laird Brothers from Forfar in Scotland has 50 employees and is known in large parts of the country as a reliable supplier of concrete. The company is now well prepared for the future with the construction of a new 4,000 m² production hall at the main plant in Forfar and the acquisition of a new concrete block making machine at the beginning of this year. This investment focuses in particular on the production of high-quality concrete blocks, because the demand for such products has strongly increased in recent years. With the extension of the product portfolio by concrete paving blocks, masonry blocks and split blocks Laird Brothers now want to expand further. Laird Brothers consciously chose two renowned suppliers to the concrete products industry in Rekers and Rotho in order to be able to manufacture concrete products in the usual way with high quality parameters. In addition to the KRS 4 concrete block making machine, REKERS from Emsland also delivered the complex handling and transport systems on the wet and dry sides. 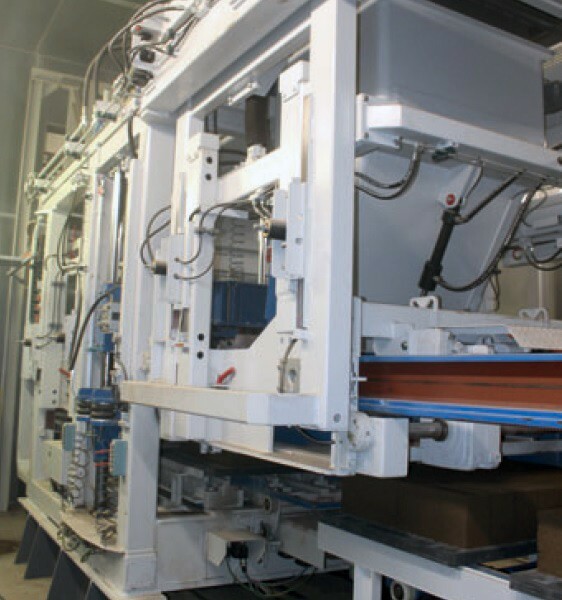 The fully automatic concrete curing system from Rotho ensures optimum curing and post-treatment of the concrete products. The refinement of paving stones, for example, is also possible by means of a stationary ageing unit from KBH. Read the full article in the CPI 03/2016 here.